Tidal The Best Music Streaming App for iPhones? Tidal Wave? What Is This All About? How Does Tidal HD Work? Is Tidal better than the other market competitors? Is there a way to make the Tidal audio quality even better? There are hundreds of different streaming services in countries all around the world. You have Spotify vs. Apple Music vs. Tidal vs. Pandora ad infinitum.. Some of these services are specifically designed for particular devices, whereas others can be used on almost anything. These services are also usually owned by small companies, at least they start that way, and many, like Tidal and Apple Music go on to make heaps of money. The downside of this is the fact that artists are usually only paid a small amount for their work, but hey, that’s the music industry right? Still confused? We dig further into the top contenders and find out what makes Tidal stand out from the pack. The Tidal HD service is different from many mainstream music streaming services in how it claims to pay higher royalties to both artists and songwriters. This is more than likely because it is the first service that is actually owned by artists. It has actually been acquired by Jay-Z, after originally being owned by a small start-up firm. In fact, Tidal is the second most fair streaming company for artists in terms of how much they pay per stream, second only, and ironically, to Napster. Yeah, we didn’t know they were still a thing either. After Napster comes Tidal, followed by Apple Music, Google Play Music, and Deezer. Despite their massive size, Spotify and Pandora apparently pay the least to artists for their work. Tidal HD works primarily as a music streaming service, often being considered to be a CD quality alternative to other streaming services, like Spotify. It is worth noting that Tidal HD offers a much higher audio quality than a range of other streaming services. Tidal Premium costs $9.99 per month, a rate that goes down to $8.49 per month when six months are paid for in advance. It offers a standard sound quality, with a quality bitrate of 320kbps. This level does result in a loss of data as the sound is compressed, so the music audio is not at its full potential. This level still features high definition music videos, and an expertly curated editorial. Tidal HiFi costs $19.99 per month, a rate that drops all the way down to $16.99 per month when six months are paid for in advance. It offers a lossless level of high fidelity sound quality, meaning that the audio itself is not compressed. With no compression, no data is lost, resulting in pure, authentically high level of audio quality. This is big if you are running a pair of lightning-cable headphones directly from your smartphone as you’ll getting only the highest quality signal possible direct to your ears. It should be noted that both of these services are entirely advertisement free, as you must pay to use them. There is no free option like Spotify. There is however the opportunity to try a one-week free trial, to see whether or not the service is right for you. Most music streaming services would never offer a service like Tidal HiFi, as they prefer to compress files so that the files can be delivered to your device quickly. During this process, the musical nuances that give the song life are all lost, a real compromise. This makes most music streaming services a victory for convenience over the overall sound quality that should be heard in a song. The files on Tidal HD are all in the FLAC format, which is the format of choice when delivering CD quality music. On the flip side, when a song is compressed, an algorithm is responsible for removing all of the data from an audio track that it believes the human ear cannot hear. This often results in a stripping effect, taking away the nuances that stand out in the background. A lot of detail is shaved away to make the file smaller. Both Tidal Premium and Tidal HiFi can be used on a number of popular devices, including iOS, Android, PC, and MAC. With Apple’s dropping of the 3.5mm jack, you will want to enjoy Tidal with lightning headphones, keep the rubbish, inferior quality bluetooth headset in the car for the gym. One of the most important features of any music streaming service will always be the audio quality that the service has the capability to produce. Tidal HiFi has the ability to produce a fantastic level of audio, but this audio is best heard through a DAC (digital to analog converter). Plenty of these can be found on the market, like the Anker SoundBuds Digital IE10 for iOS or the lightning output-ready Oppo HA-2SE powerbank/amplifier/DAC combo. A DAC enables you to hear the song that you are listening to at its full potential, without any distortion. 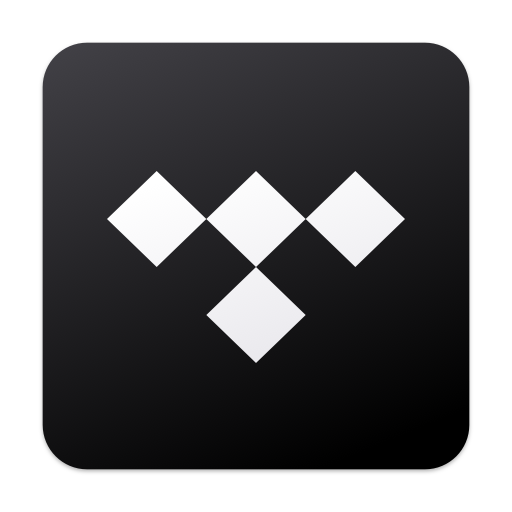 Tidal can be used on a large number of devices. It is known to have an excellent Chrome-based web player, as well as a standard downloadable desktop player for both PC and MAC. Applications can also be downloaded across iOS and Android devices. The Chrome desktop browser is known to be easy to navigate, and it would be a great option for someone who just wants to listen to music while they are in the comfort of their own home. All of the main options are to the left-hand side of the page, while the search function is at the top. Everything is clearly in view so that you do not have to hunt any features down. It is easy to create and share your own playlists using the Tidal service, with an ever updating array of music featured on the main page. There are more than 25 million tracks available in the standard library, with more and more being added on a daily basis. You can even download your playlist so that you can listen to it while you are offline. The Tidal streaming service also features more than 75,000 music videos, all of which can be viewed in high definition with either of the two different subscription packages. You can also connect your Tidal account to your other social networks, including Facebook. This enables you to share songs and music videos with your friends, as well as giving you the opportunity to share entire playlists with them. You might be worried about the amount of data that your phone would use outside of the house to be able to run such large files. Luckily, there is the option to change streaming settings so that you can conserve bandwidth while you are away from your home. A lot of people that use the Tidal streaming service download their playlists, that way they can be listened to offline. One of the most popular streaming services across the world is Spotify. When asked about Tidal, a lot of Spotify users were more concerned about having to recreate all of their playlists on another service than they were about anything else. 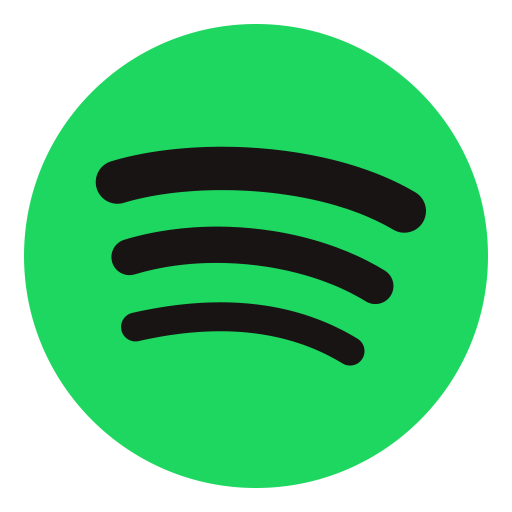 You can actually skip this by importing your Spotify playlists, meaning that you do not have to spend hours recreating them all one by one. Tidal actually does something that the majority of other music streaming services do not. It offers music at a completely lossless level. The majority of streaming services do the opposite, strictly delivering files in formats that include MP3 and OGG. They do this so that they can deliver files as quickly as possible, but it results in a large amount of data loss. Tidal HiFi is much different in comparison. It streams music at approximately a 16-bit rate, with 44.1kHz FLAC files that all have a bit rate of 1411kbps, which is much higher than other streaming services. For example, Spotify only delivers music at 96kbps on mobile devices, with premium subscribers getting up to 320kbps. This means that Tidal deliver a much higher level of data than their competitors. As a streaming service, Tidal was designed from the ground up to be special. The idea behind it was that it would become the ultimate music resource for fans of high fidelity music. The term high fidelity refers to the high-quality reproduction of sound, distinguishing it from the sound quality offered by standard streaming services. The service goes even further by offering specific playlists and recommendations that have been curated by highly experienced music journalists. Some of these recommendations are based on what is currently popular, and others are based on the type of music that you frequently listen to. Have you ever been listening to a music streaming service and noticed a large gap between songs while they download? Tidal is different. When you listen to either an album or a playlist, the next song is buffering away in the background while you listen to the current song, ensuring that you do not end up with any unpleasant gaps between songs. Tidal even does something that a lot of other services do not. It has a built in ‘audio search’. If you hear a song that you like, but you are unsure of what it is, the audio search can find it. You simply have to press a button and it will listen to any song that it can hear in your environment, identifying it and enabling you to save it in your Tidal library. This can be especially handy with songs that are heard in adverts or films, where you have almost no way of telling what that particular song actually is. To top it all off, Tidal even features a range of different articles and in-depth interviews with both artists and songwriters. There is a definite feeling that they appreciate the creators of the music that they curate more than other streaming services do. The audio quality that comes naturally with Tidal HiFi is already exceptional when compared to the audio quality that comes with other music streaming services. A number of devices, including iPhones, have a built-in DAC. A DAC is a digital-to-analog converter, the very device that enables us to hear the music. While built-in converters are usually good, they are not as good as other products can be. By adding a headphone amplifier, a fantastic digital-to-analog converter, and a high-quality set of headphones, you can see an extraordinary change in the quality of the music that you can hear. That might sound like a lot of attachments that would just get lost, but the reality is that a lot of products contain them all. One great example would have to be the Arcam MusicBoost S, for iPhone 6 and iPhone 6s devices. The MusicBoost is a protective case, a headphone amplifier, and a digital-to-analog converter. It even has its own battery pack, so that you do not have to worry about it drawing power directly from your phone, something that would result in a short battery life. Devices like the Arcam MusicBoost S exist all over the current market for a variety of different phones and tablets. If you are wanting to get the most out of your audio, then it would be worth considering purchasing your own digital-to-analog converter so that it could bypass the one that exists inside of your device. Likewise you can buy any pair of lightning headphones that support full lossless 48kHz audio. 3.5mm headphones were limited in their quality by the constraints inherent in the 3.5mm jack set up. With lightning-connected headphones the DAC and Amp are built into the headphone units themselves, resulting in superior sounding audio in a compact and travel-friendly form. You can also stream your music over Apple AirPlay so that you can hear it through another device. Tidal is compatible with Sonos and a range of other products, including Marantz receivers. You can then hook these up to high-end free standing speaker units for a truly euphoric listening experience. If you commute or travel much though you should really consider the quality of the earphones or headphones that you use. Do they crackle when your audio is too loud? Do they offer any form of noise isolation? High-quality earphones and headphones produce a notable difference in the quality of the sound that you can hear and fortunately there are already a huge variety of earbud and on-ear lightning-ready cans on the market, which is only expected to grow into 2019 with the launch of the iPhone 8 and increased demand for truly high fidelity lightning earphones. Tidal is an excellent music streaming service that provides high-quality audio for people who enjoy and appreciate proper high fidelity music. It does cost slightly more than other music streaming alternatives, but in our opinion, it is worth the cost, especially when paired with a new iPhone and hifi lightning-connected headphones. The difference in audio quality is quite simply striking. You get a total of 1411kbps with Tidal HiFi, which is extraordinary when you compare it to the sound quality that you get at 320kbps, which is the average for music streaming services, including Spotify Premium. Both the Tidal applications and the Tidal online platform enable you to access a variety of music through an intuitive and straight forward interface. This interface somehow gives you all of the details that you need without even a minuscule moment of confusion. It has been efficiently laid out so that you can find everything that you need to find, and more. When compared to other music streaming services, it is easy to see that Tidal is exceptional. Most people don’t understand that there is a difference between standard streaming quality and the streaming quality that can be found on Tidal. If you were to play two songs from two different devices, with one playing at 1411kbps and one playing at 320kbps, you would be shocked by the difference. The extra data gives the song a layer of life, like a breath of fresh air. Of course, if you have a small budget you are may still prefer listening to music via your desktop computer and amplifier/receiver set-up at home. If you are at all mobile though, having something hi-res like Tidal you can take with you and enjoy to its fullest extent via hi-res enabled headphones, will surely increase the day-to-day quality of your audiophile existence. Tidal even offers a 1-week free trial that can be canceled at any point. With that in place, what are you waiting for?